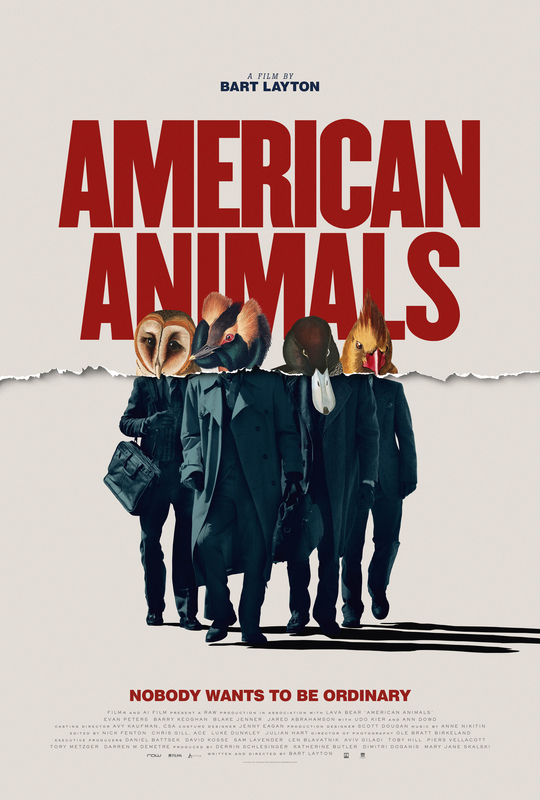 With a storyline that’s straight out of the “so crazy it must be true” box of cinematic adaptations, American Animals – a reference to animals inhabiting Kentucky caves from Darwin’s On the Origin of Species, one of the targeted books – is a movie that throws a curveball at the audience almost from the beginning, when we meet the real Spencer Reinhard and the real Warren Lipka and they start to comment on the action as it unfolds. It’s a clever way of approaching the material, but what’s even more clever is the way in which their own memories of what happened don’t always tally. Whenever a movie is based on a true story, there’s always that doubt in the viewer’s mind: did it really happen like this? Here, we get as close as possible – probably – and the essential details are there, but it’s these sometimes hazy recollections that make everything seem more realistic, rather than just being Layton’s interpretation. If it all added up, it would be too neat. So, rather than being an odd framing device, or a matter of dramatic contrivance, the movie benefits greatly from being a mix of documentary and drama. 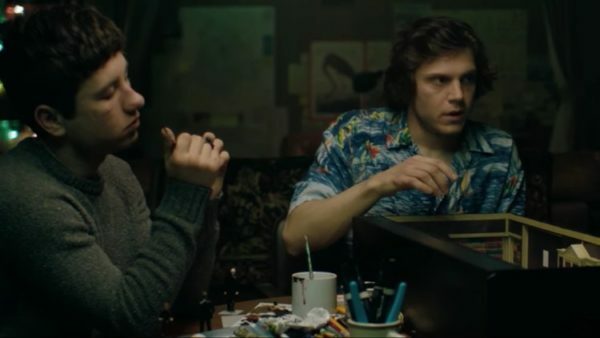 The actual story itself is played out with a great deal of verve, with first class performances from Peters and Keoghan, and solid support from Jenner and Abrahmson, and as the librarian in charge of the rare books, the ever-reliable Dowd. It’s a tale that beggars belief, as well, as woven within the fabric of the robbery’s planning, are subtle hints that none of it will work out as they hope. Also, there are fantasy elements embedded in the narrative, where Spencer and Warren quote lines from the movies to illustrate the ease or difficulty of what they’re doing, as well as assigning each other names from the characters in Reservoir Dogs (1992) (and look how well that heist turned out). There’s a disconnect from reality that makes you wonder just how they could have believed they could have not only stolen the books but fenced them as well (and to a buyer (Kier) in Amsterdam). Layton lays it all out in clinical yet thrilling fashion, stepping up the tempo during the robbery itself and then highlighting the inevitable ways in which it all falls apart. But it’s the way in which Spencer et al reflect on what happened – and how, or why – that makes the movie so impressive, and which elevates this from being just another movie based on a true story. 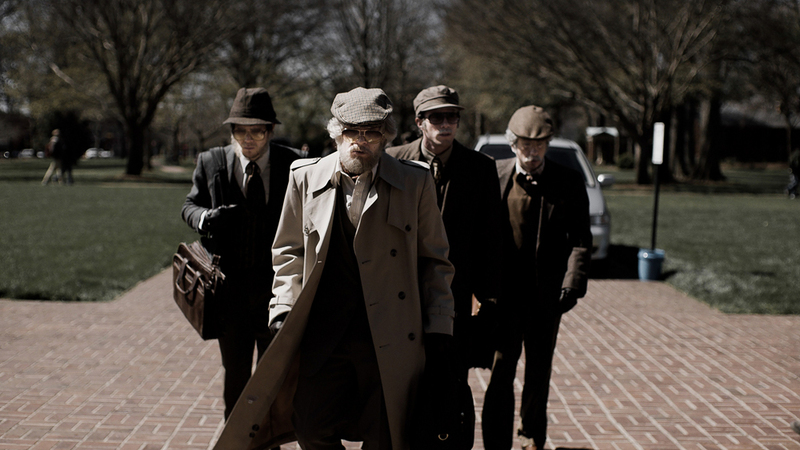 Rating: 9/10 – absorbing, intelligent, gripping, and refreshingly character-driven, American Animals is a cautionary reminder about getting what you wish for, something Reinhard should have done before deciding that robbing a rare books collection was a way of adding excitement to his life; with an impressive screenplay by Layton, first rate cinematography from Ole Bratt Birkeland, and an immersive production design from Scott Dougan, this is heady stuff indeed, and one of this year’s best.